Just when you thought the plowing was over (for now), the city has issued a new parking ban for Sunday night. 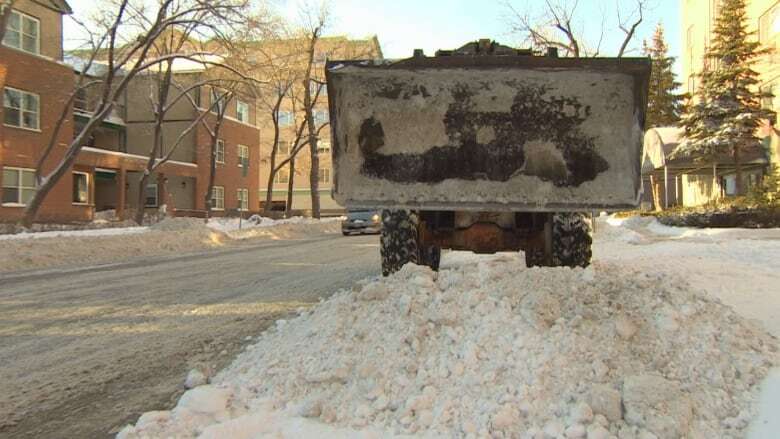 Snow is being hauled away from several major streets, beginning at 8 p.m. Sunday. Temporary No Parking signs will be in place until 6 a.m.
Osborne from Brandon to Broadway. York from Main to Memorial. Carlton from Ellice to Broadway. Hargrave from Broadway to Ellice. Donald from Ellice to Broadway. Smith from Navy Way to Ellice. Garry from Ellice to Broadway. Fort from Broadway to Ellice. Regent from Kanata to Winona. Bond from Victoria to Pandora. Day from Victoria to Pandora. Regent from Moroz to Panet. The city said in a release Sunday that back-lane plowing is complete. Any residential streets or sidewalks that were missed in this week's city-wide operation will be cleaned up soon, the release said.